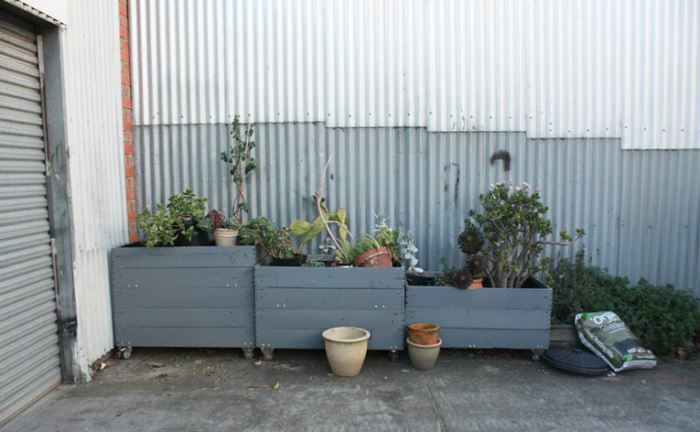 For a departure from the vertical vibe, check out this Painted Garden Bed on Wheels from Alexa Hotz via Gardenista. 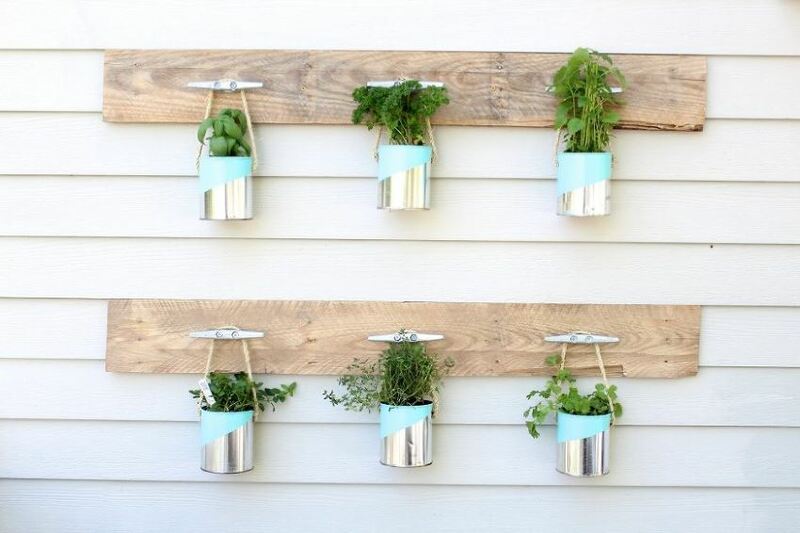 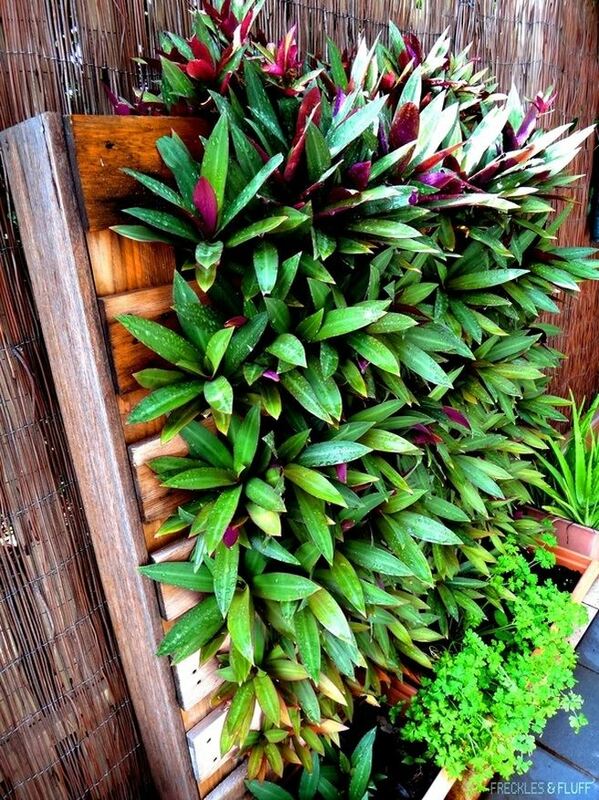 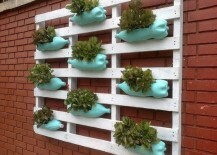 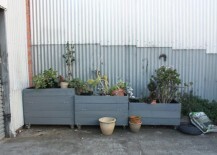 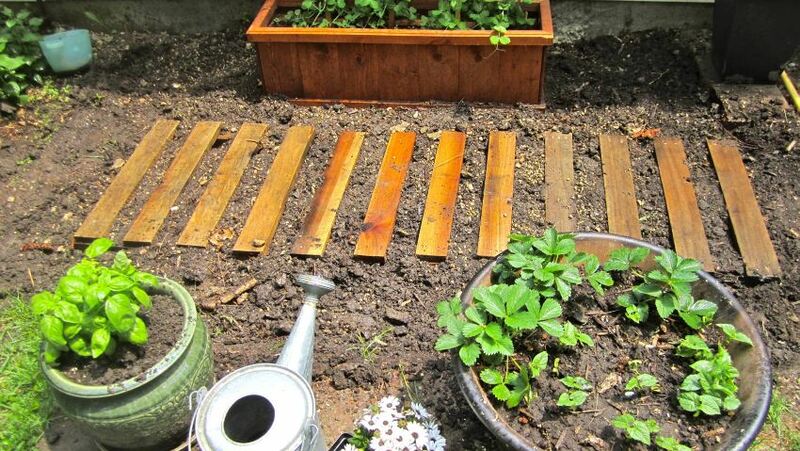 To create this rustic-modern planter/garden bed idea, paint your pallet wood and attach it to casters. 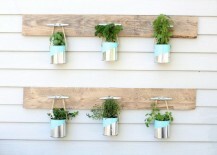 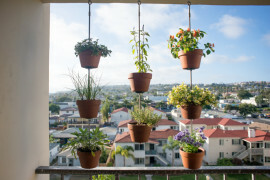 Fill with the plants of your choice, and you’re set! 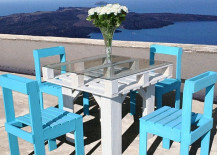 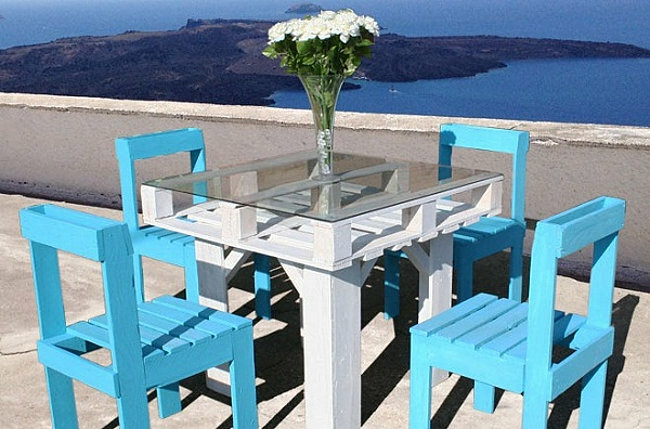 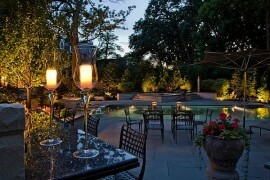 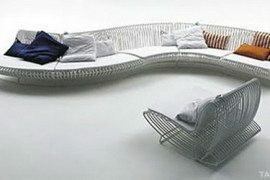 There’s nothing like a beautifully designed piece of outdoor furniture. 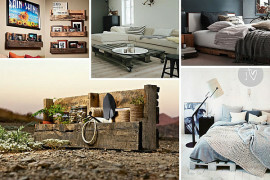 But if you’re on a budget, it can be hard to find a modern selection that’s both striking and affordable. 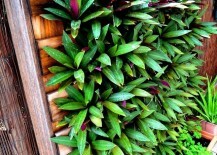 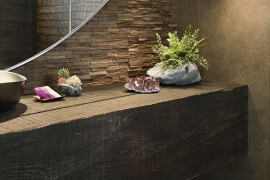 Which is why this Outdoor Pallet Table with a Recessed Planter Box from Ana White is so appealing! 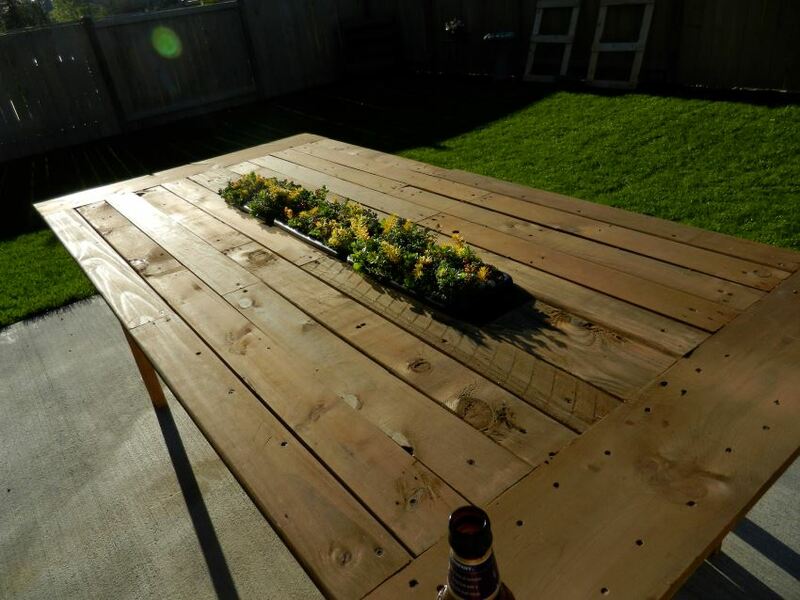 The best part: all of the wood from this table came from free pallets, so it cost virtually nothing to make! 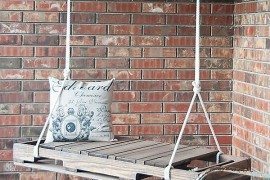 If you’ve ever tried to price lounge chairs, you know how expensive they can be, especially if you’re going for both comfort and style. 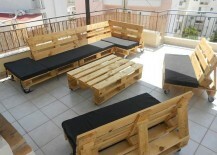 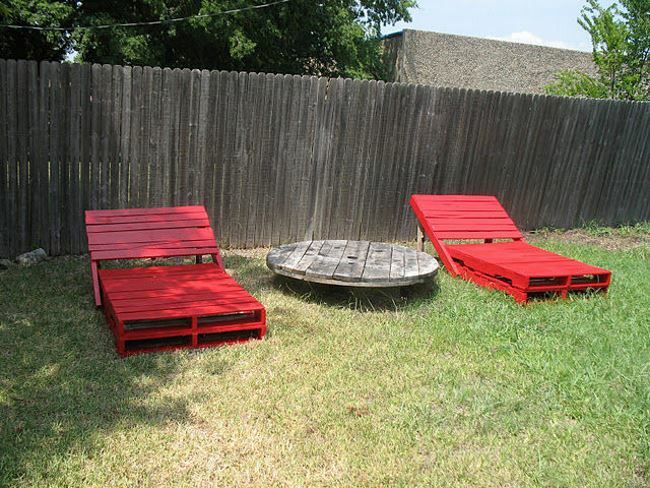 That’s why we were delighted to come across these DIY Pallet Garden Loungers, which have been painted a striking shade of red. 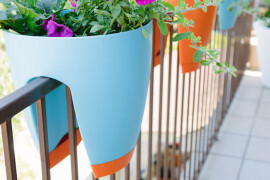 For a detailed DIY tutorial, head on over to Instructables. 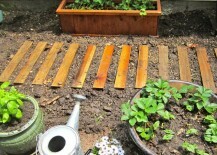 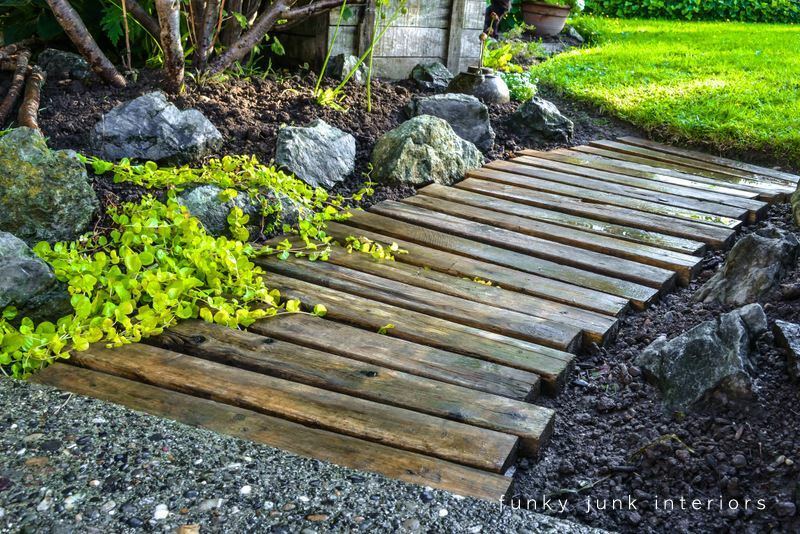 Here’s another pallet path idea, this time with thinner pallet wood and a bit more space between each plank. 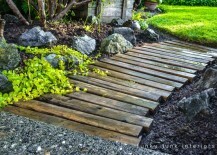 View additional photos and details at My Garden Diaries. 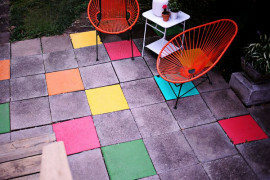 Are you inspired by the projects in today’s post? If you’re wondering where you can track down pallets for your next DIY endeavor, try locations such as hardware stores. 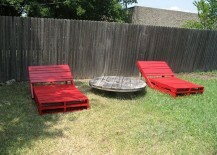 For additional pallet source ideas, we found this article to be quite helpful. 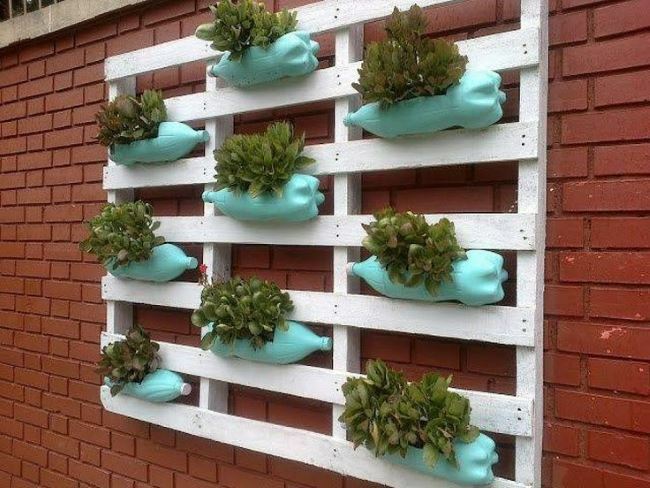 Here’s to a productive, pallet-filled spring!